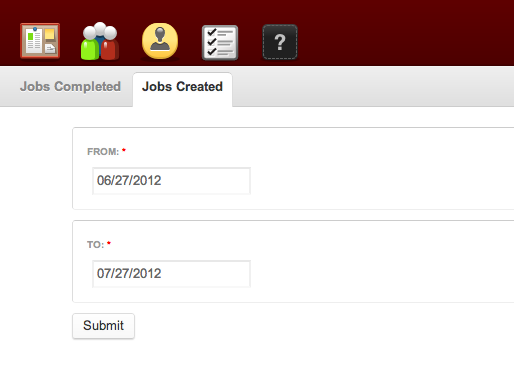 So I have a custom module that is adding 3 menu items (a main tab, and 2 sub-tabs). When navigating to the main tab (url: /casereports) the default_local_task is displayed as expected and both menu items (Case Reports and Jobs Completed) are active as expected. 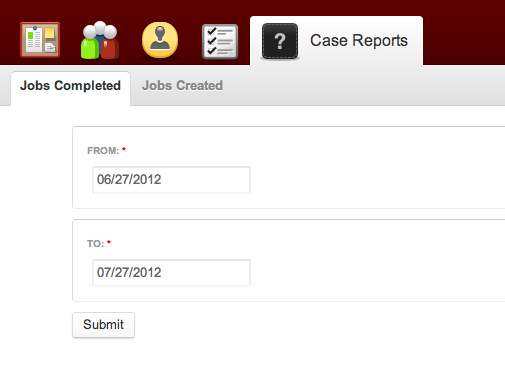 Everything is working fine except that when I click on the second tab (Jobs Created), the main tab (Case Reports) loses it's active status. I can't seem to figure out what I am missing here and why it is not picking up it's parent and the active-trail. Any ideas? OK...so this basically ended up being more of an Open Atrium issue than anything else. Due to the fact that Open Atrium relies heavily on Features and Context, the style sheet was setup to deal with the classes added by those modules. Drupal's implementation of active-trail and active classes was working fine, however the theme's 'active' styles weren't setup to work without the classes added by the Context module. I could either a) add a Context for the menu item added via my module (which is the route I took), or I could have (b) modified the CSS for the theme by adding a custom stylesheet. Thanks for all the help guys, but I am embarrassed to say that in the end, it was just a bit of a theme problem from the Open Atrium install. I really can't tell why is this happening, but I can give suggestions for finding out why is it happening. The best way to start would be by checking the menu_router database table to verify what is the difference between the MENU_DEFAULT_LOCAL_TASK and the MENU_LOCAL_TASK items in the database. If that does not uncover any clues, then I would start looking at the theming layer for answers. I would start by using Firebug to see what is the name of the active tab CSS class for the MENU_DEFAULT_LOCAL_TASK item, then search Drupal core for that class. Once I found the function that is outputting the active tab CSS class, I would pepper it with breakpoints (or debug statements if not using a debugger), and see what makes it giggles, so to speak. This process should give you enough information to know why is the MENU_LOCAL_TASK not being marked as active. Not the answer you're looking for? Browse other questions tagged 6 routes open-atrium or ask your own question. Identifying the level of menu items in the item array? Nice Menus - Root links expanded by default - How to collapse?